Attention: Frustrated Parents of Kids with ADD or ADHD Who Feel Helpless and Discouraged — Don’t Give Up Yet! Finally, a one-stop holistic blueprint for helping your child with ADD or ADHD truly thrive and express his or her magnificence— even if you’ve already tried everything else! Be able to learn, graduate from high school, or go to college? Listen, sit still, and behave appropriately? Stop arguing with you or interrupting you? Learn to be patient and control hyperactivity or impulsive behavior? Deal with distractions and be on time? Live up to his or her potential? Be recognized as the spectacular, positive, exuberant person you know he or she is? Attention Deficit / Hyperactivity Disorder (ADHD) is one of the most common disorders in the United States, especially among children. In fact, a staggering 8-10% of school-age children have been diagnosed with ADHD. With a school-age population of 61 million, that translates to between 4.8 and 6.1 million kids! Sadly, even though ADHD is one of the most researched disorders out there, we still don’t know what causes it, which makes dealing with it challenging for everybody involved. I raised a child with ADHD, and if you’re like me, your biggest fear is that you’re a failure as a parent and that your child will be a failure, too. You feel powerless, and you don’t know what to do next. You’re frustrated because you’ve tried everything you’ve read and heard and feel as if you’re missing the magic puzzle piece… but don’t know where to turn or who to listen to. You lie awake at night and cry for your child. Scared that he or she may never be self-sufficient or find the happiness he or she deserves. And you’ll scream if you get one more phone call from school telling you that your child is way behind, can’t sit still, has no organizational skills, doesn’t listen, or got in trouble again. It’s enough to make you feel like a rotten parent. I’ve been there and back… and lived to tell the tale. Although parenting is one of the most rewarding jobs in the world, it can also be demanding, frustrating, and overwhelming. Parenting children with ADHD can be especially tough, as many common methods just don’t work for your child. And when you’re dealing with ADHD, one size does NOT fit all. Working with your child for hours on homework and losing patience when he or she doesn’t know what the assignment is, has lost the book, and can’t stay focused for more than a few minutes. Taking your child to a therapist to “fix” him or her and getting frustrated when therapy doesn’t work. Working with a therapist who doesn’t talk to you or tell you what’s going on—or going to therapy yourself to get help for your own feelings about having a child with ADHD. Going to the pediatrician, putting your child on stimulant medication, and worrying about the effects on your child’s brain and health. Getting up the nerve to confide in friends or family and feeling hopeless when their suggestions don’t work. Reading book after book on ADHD by so-called “experts” but not knowing how to apply what you’ve read to your own family—and no one else seems to know either. What if I could help you with every single fear and concern you have about your child? Concentrates, loves to learn, and does well in school. Feels loved and is getting all the help possible to thrive with ADHD. Acts appropriately most of the time (hey, they’re still kids!). Keeps his or her room organized and clean. Has a great attitude and lots of friends. Is happy and is on his or her way to being well prepared for life. Well, it isn’t. My home study system, A Holistic Approach to Successful Children with Attention Deficit / Hyperactivity Disorder, gives you all the pieces of the puzzle in one place, with a proven approach to success you just can’t get anywhere else. I’ve created a home study system to help you with everything that children with ADHD struggle with. You and your child will find the success you’ve been looking for, and you’ll know how to take care of yourself to be the best parent you can be. This home study system will help you help your child thrive. You’ll finally understand what your child needs from you, what works, and what doesn’t work. You’ll learn better ways to communicate and manage his or her behavior. You will set your child on a path for success. Easily. Plus, you will learn how to take better care of yourself and thrive along the way. What a bonus! Get started now, and help your child succeed! My name is Debra Burdick, LCSW, BCN, and I’m the parent of a child with ADHD, so I’ve been where you are. Although I don’t have ADHD (yes, there are times when I think I do), I’ve become an expert on succeeding and thriving with ADHD as I have parented a child with it, was married for 20 years to a man with it, and have been in business situations with a partner who thrives with it. As a psychotherapist and Neurofeedback practitioner (now semi-retired), I’ve helped thousands of adults, children, and their families with ADHD since 1989. I’ve learned what works and what doesn’t work in the real world from personal experience, from my clients, and from the relevant research. I pass this on to you in this home study course to give you the tools to help your child live a happy and successful life. Feels like a failure despite being very bright. Cannot sit through dinner or complete a homework assignment. Has no organizational skills whatsoever. Has a constantly messy room and is never ready on time. Is enthusiastic and full of energy and creativity, but your heart sinks knowing the world might never appreciate him or her. Has more love to give than anyone you’ve ever known, but may never find that special someone everyone should have. Can make a big difference in the world, but may never get that chance. I know how it feels to love very deeply, to care more than you knew was possible, and to want the very best for your child. I also know how it feels to be so very proud of a child who, as a young adult, graduated from college with three years on the Dean’s List! My daughter is confident, competent, successful, beautiful inside and out, and has a huge network of wonderful friends. But she was a mess just a few short years ago. We didn’t know if she would make it through school—or if we would either. I knew I had to help other parents through this challenging but rewarding journey by creating the home study system. My holistic approach has worked for thousands of children with ADHD. I know you’ve heard this before, and I don’t blame you for being skeptical. Too many products out there promise you the moon but never deliver. Families who use my home study system thought their situations were hopeless. They found relief, guidance, reassurance, resources, and understanding… and you can, too. A.N., a nine-year-old client, had been kicked out of school for violent and aggressive behavior. He was on three psychotropic medications and two stimulants. Despite being on all this medication, he still had trouble with impulsivity, hyperactivity, concentration, and cooperation. His parents had abandoned him, and he lived with his grandmother. He worked with Deb for counseling and Neurofeedback. After 46 Neurofeedback sessions over the course of one year, A.N. was back in school, with good grades, good behavior, and a proud grandmother. And he was off all medication. ADHD… your child is NOT alone. ADHD affects up to six million kids in the United States alone. Although ADHD is one of the most researched childhood disorders, no one knows the exact cause. It can be inherited, so when I diagnose a child with ADHD, one or both parents often realize that they have it, too. Stimulant medications help about 65% of children improve concentration, focus, and behavior control. A large percentage of children stop using them within three months, mostly due to side effects. On the other hand, Neurofeedback—training the brain to regulate itself to function more efficiently—has been shown to have a 75-85% effectiveness rate without the side effects of stimulant medication. Neurofeedback resources are included in your program as one option to help your child. According to the Academy of Child and Adolescent Psychiatric Clinics of North America, Neurofeedback meets their treatment guidelines for ADHD, depression, and anxiety. It retrains the whole brain and corrects underlying issues such as lack of sleep, overactive brain function, and anger. This is the only holistic program out there for ADHD. I designed A Holistic Approach to Successful Children with Attention Deficit / Hyperactivity Disorder to help parents, grandparents, and anyone who works with ADHD kids. As a holistic home study system, it addresses every part of your child’s life, and you can work at your pace in the comfort of your home. 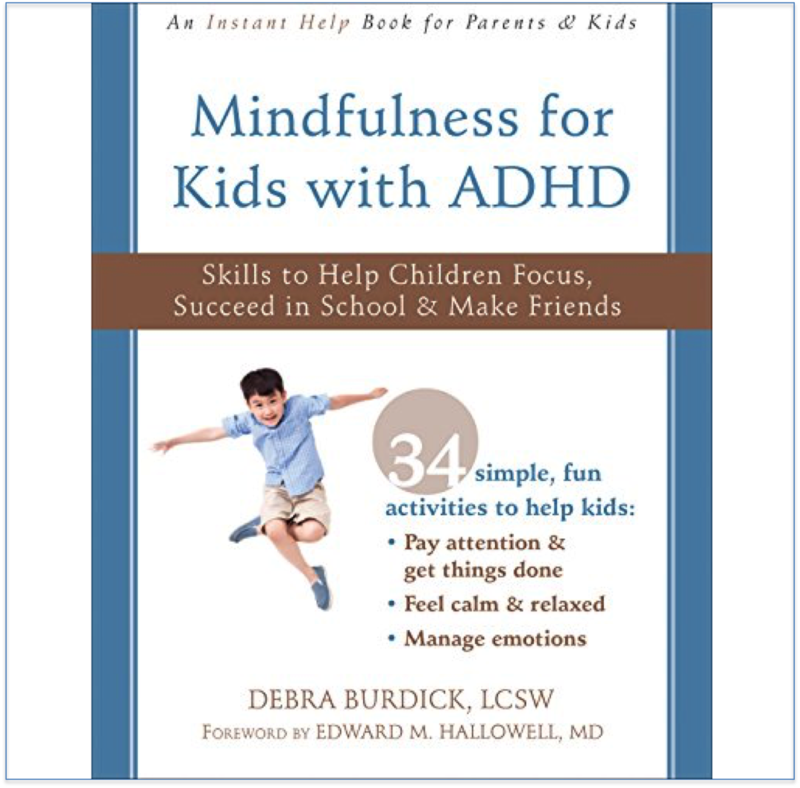 Overview of a Holistic Approach to Successful Children with ADHD. Debra Burdick, LCSW, BCN. What Is Naturopathic Medicine and How Does It Approach Treatment of ADHD Symptoms? Anne Procyk, ND. What is Neurofeedback and What It Can Do for You or Your Child? Michael Cohen. Medications for ADHD. Thor Bergersen, MD. A Healthy Diet and How to Be Sure Our Food Choices Are Increasing Our Success and Well Being. Debbie Perry, RD. Let’s Talk about Sleep. Anne-Marie Foster, BS, RRT. Organizing Your Child. Sandra Wheeler. What Every Parent Should Know about Talking with Their Child’s School about ADHD. Heather Merkle, M.Ed. Meditation for Sleep. Debra Burdick, LCSW, BCN. Meditation to Improve Concentration. Debra Burdick, LCSW, BCN. With nine hours of experts talking about each step of the system, the CDs are packed with up-to-date information and valuable tips and techniques in naturopathy, diet, Neurofeedback, sleep, working with your child’s school, and so much more. The two meditation CDs will help your child sleep and concentrate better. Other authors and programs focus on just one or two pieces of the puzzle—one or two parts of your child. This 14-step system looks at your child as a complete person and works toward success in every area of his or her life, as you saw above in the CD list. This truly is the step-by-step blueprint and holistic system you need that no one else offers. Taking care of yourself so you can take care of your child—you will do this first and see results right away. Understanding how ADHD impacts you, your child, and your family—and how to positively change that impact. Defining success for your child and yourself on your terms—is it getting good grades, having an active social life, being self-confident? Evaluating your child fully to rule out medical causes, and which physical and mental health professionals should do the evaluating to come to a clear, precise diagnosis… finally! Finding caring, supportive, helpful, and knowledgeable treatment providers when you need them. Ensuring that your child is evaluated properly at school to get the education he or she is entitled to. Considering the pros and cons of treatment options, including counseling, stimulant medication, and Neurofeedback—bottom line is, you don’t have to medicate your child if you don’t want to. You have options. Modifying your child’s diet to reduce symptoms and improve overall health. Creating a sleep environment so your child can get the rest he or she needs. Tracking symptoms at any time and gauging progress. Scheduling time for homework, play, free time, and chores. Shaping behavior with appropriate privileges and consequences. Setting up the homework space and prioritizing study time. Using discipline techniques, such as time-out, properly and effectively. Improving organizational skills at home and at school. Know how to calm himself or herself down and pay attention. Stop arguing and start acting appropriately. Study independently and get better grades. Curb impulsive behavior and hyperactivity. Organize time, space, and homework. Eat healthy foods that make him or her feel better. Find activities he or she enjoys instead of plopping down in front of the TV. Be the happy, creative, energetic, and successful child you knew was there all along. “Before working with Deb, my nine-year-old son was diagnosed with ADHD and a processing learning disability. It was difficult for him to complete simple steps or tasks without getting distracted. His father or I would need to ask him repeatedly to do a simple task such as brushing his teeth, getting dressed, or even eating a meal. He had a difficult time in school, often feeling frustrated and inferior to the other students. He often came home complaining that the teacher was picking on him. We also noticed that about two to three times a year, typically near a season change or growth spurt, our son would have what we called a blowup. He would get upset about something simple and begin kicking, screaming, and hitting. He would usually end up being restrained by his dad or me until he could regain his composure. Since working with Deb, we have seen wonderful results. We have not experienced another blowup. Our son can now be asked to get dressed, brush his teeth, and put his shoes on, and most of the time he completes all three steps without reminding him at all! Dinner has become a pleasant experience with all of the family actually sitting down to enjoy it. During the school year, he made some very close friends, and his self-esteem is significantly higher. He still struggles with his learning disability, but even that has improved slightly. When you’re dealing with ADHD, one size does NOT fit all. This system was designed for you to stretch and tweak to fit you and your child. I want you to take this system, thoroughly work it, and adapt it to your needs—do what is best for your child and you. There are no wrong answers, and you are in control of what happens to your child. Speaking of being in control, I’d like to take a moment and discuss one critical step in the system: getting a definitive diagnosis for your child. You won’t know what you’re dealing with until you get a clear diagnosis from the appropriate health care professionals. The home study course shows you who to approach and how to work with them to get that diagnosis. The best thing we did for our daughter was get an accurate diagnosis and take the time to consider every medical, physical, and environmental factor we could. For example, your child may not have ADHD at all, but may just be sensitive to certain foods like sugar, dairy, or specific additives or preservatives. He or she might have a sleep disorder that mimics ADHD symptoms. Or, like my daughter, your child may have a combination of ADHD and food sensitivities. Other disorders can behave like ADHD, and only trained professionals can determine and treat them. Medications improve concentration for some, but a significant percentage of kids cannot tolerate the side effects… and the long-term effects of these medications are still unknown. Even if you don’t invest in A Holistic Approach to Successful Children with Attention Deficit / Hyperactivity Disorder, getting an accurate diagnosis will help you make better decisions regarding your child’s care. Don’t you owe it to your child to find out for sure which issues he or she has before you move forward with treatment? “My son was struggling in school and his daily activities due to ADD/ADHD and severe panic attacks. My husband and I exhausted all of our options medically and decided we needed to try some different methods but didn’t know where to start. 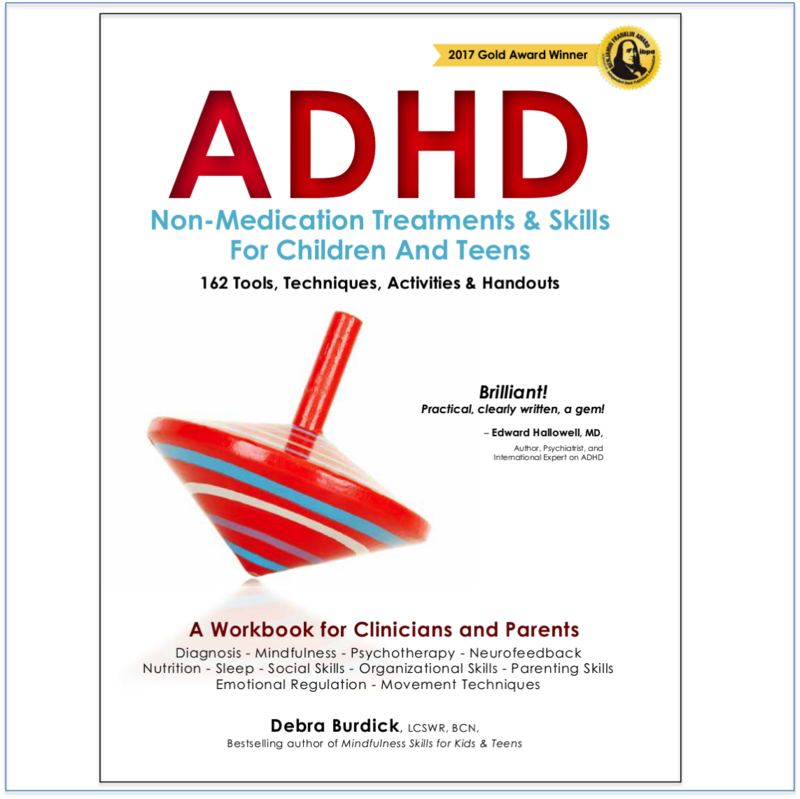 We ordered Deb’s Home Study System for Parents-A Holistic Approach to Successful Children with ADHD, and discovered it was filled with extremely useful and practical information from Deb as well as various other experts. Since implementing some of the ideas that Deb offers in this Home Study System my son with ADHD caught up on all his school work and was able to get back on the basketball team, and his panic attacks are nearly gone. We have become more knowledgeable about various ways that we can help make the journey our son is going through more successful for him and my entire family. I highly recommend this Home Study System to any parent whose child is struggling with ADD/ADHD. It is worth every penny.” Mother of 14 year old son. If you DO order this holistic program, you’ll see results right away! Obviously, the more closely you follow the system, the faster you’ll see lasting changes. To speed up results, I’ve made the system convenient and easy to use. You and your child can listen to the CDs any time, even while driving or eating dinner, and work on the program together. You’re a team, and this system is your coach and booster club. The key is implementation, and one of the main benefits of this home study course is that it’s easy to begin and continue. You’ll get dozens of real-life examples, resource recommendations, worksheets, and techniques that you can directly apply to your parenting and start seeing results. As you go through the system, you will see results immediately. While your child is making changes in specific areas of his or her life, at the same time, you will see improvements in other areas. the synergy of a complete and holistic system. When you work through this home study system, you’ll know exactly what to do and why. You’ll see what works best for your child, and you’ll go to sleep every night knowing you are helping your child be successful in all areas of his or her life. Order now, and see results quicker than you thought possible! This home study system is not one of those “everything you always wanted to know about ADHD programs.” You probably already know what you need to know about the disorder itself; now you need to know how to best help your child. The appendix in the manual lists plenty of resources for all the basic information you could ever want. This total system is step-by-step help for parents based on these resources, current research, the latest clinical experience, and real-life experience. It’s a one-stop holistic blueprint for helping your child thrive. As you’ve seen, this is all meat, no filler, no fat. This system is packed with information you can use right away. Remember when I said parents often have ADHD, too? Adults benefit from the program as much as kids do. They learn to concentrate, get organized, and make their lives richer, fuller, and more enjoyable. “Before working with Deb, I had a severe brain fog, like there was a monster in my brain smothering me. I had so much trouble concentrating. In fact, I always had trouble in school, never passed math, always had a hard time learning, and was always below grade level even though I studied way more than anyone else. My brain just didn’t stay with it. It would take me a couple of months to read a book even though I read every day. I had to reread and reread and couldn’t remember the characters. I drummed once per week, but I couldn’t concentrate enough to keep the beat. terrible worry. And I felt really TIRED all the time. Since working with Deb, my brain fog is completely gone. Now I can concentrate, my mood is happier, I smile more, I don’t cry anymore, I am more motivated, my attitude is better, and I feel so much more alive. I can handle stress better, and I don’t freak out like I used to. And I have been able to reduce my antidepressant medications. Now I can read much better, and my reading comprehension has improved. I can remember the characters and what I read previously. And I read every night now that reading is much more enjoyable. I feel much better about myself and who I am. I speak up for myself, ask for what I need, and feel much stronger. And I feel more solid spiritually. Are a parent (or grandparent) of a child that exhibits symptoms of ADHD. Provide services to children with ADHD and their parents. Wonder if your child has ADHD. Know your child has it. Want help with getting an accurate diagnosis, where to turn for help, treatment options, getting your child to sleep, eat well, exercise, succeed in school, improve organization, and improve behavior and relationships. Are the type of parent that would do everything possible to help your child succeed in all areas of their life. Feel like you’ve already tried everything. Do not have or work with children with ADHD symptoms. Are completely satisfied with how your child or grandchild with ADHD functions in school, at home, and in social situations. Feel confident that your child with ADHD is getting everything they need. It’s for me, and I’m ready to start! 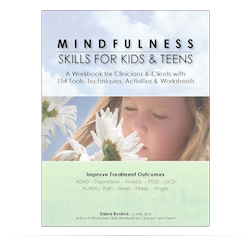 The 14-step holistic approach to success in all areas of your child’s life. Master checklist of all the tasks necessary to help your child. Comprehensive, easy-to-implement manual and worksheets full of real-life success stories and examples. Nine CDs created by experts in naturopathy, medication, organization, and Neurofeedback, among others, guiding you through every step of the system. Two CDs to help your child sleep and concentrate. Proven steps to finally get an accurate diagnosis. Ways to parent children with ADHD that really, actually work. State-of-the-art information on diagnosis and treatment options. Tips and techniques to improve study skills, organizational skills, relationships, behavior, sleep, and diet. What are you waiting for? The sooner you order, the sooner your child is on the way to his or her new life full of confidence, accomplishment, and magnificence. Okay, Debra, I’m in. How much will it cost? You don’t want to waste any time getting this system and making your child well, so let’s cut to the chase. Keep in mind other programs charge $350 or more, and they focus on only one or two puzzle pieces. We focus on all of them. I normally charge $297.00 for the home study system, but I want this to be within reach of as many parents as possible, so I’ve reduced the price for a limited time. I’m taking $60 off the price for a limited time. That means you only pay $237.00. That equals $20.00 per lesson! Just one hour with me would run you a cool $180.00. And it would take more than 20 sessions to cover all that is included in this package. once the time is up, the price GOES UP. No catch. My daughter and I started from the same spot you are in—not knowing what to do or where to turn. The success my daughter has achieved and the joy I feel every day make me want to help other parents as much as I can. This introductory price will not last long. Order now! You get the full 14-step program with all 11 CDs with advice from nine experts… the manual… the worksheets… the master checklist… real-life examples and techniques. I’ll ask again… can you afford not to get this right now? P.S. I know these results are hard to believe, but they’re true. I want you to experience the home study course for yourself and see how our holistic program will help your child gain control over himself or herself and be the happy, well-adjusted child he or she deserves to be. P.P.S. My home study system for creating successful students with ADHD is being used to teach parents, health care professionals, therapists, and teachers how to help kids with ADHD kids thrive and express their magnificence. Isn’t it your child’s turn?